This book is about a girl named Jasmine who is 12 years old. Jasmine wants to be just like her dad, who is an artist. Jasmine loves art and far her 12th birthday, her dad gives her an art ring. Jasmine's dad tells her that it is a powerful ring. When Jasmine was at school, her dad leaves to go to Africa, so her mother rearranges the house. Jasmine's uncle who lives on an island comes to visit and Jasmine tells him she wants to visit him for the summer. 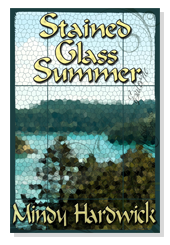 Her mother gives her permission, so Jasmine sets off for an adventurous summer. She meets a nice girl named Opal who owns her owns store. Opal introduces her to her son, Cole. Jasmine develops a crush on Cole. Then Jasmine meets Sammy who is a 5-year old girl that is a bossy brat, but Jasmine still likes her. Jasmine has not heard from her father even though he has returned home to Chicago. During the summer, Jasmine learns to be an artist without any help from her father. My favorite part was when Sammy was building a castle with rocks and the waves were getting too high. Since the waves were getting too high, Sammy and Jasmine had to move the castle somewhere else. The girls started putting rocks in the their pockets and then Cole joins them and Sammy adds rocks to his pockets. Cole pretends that the rocks were making him fall down so he dropped to his knees. It was funny because I can imagine Sammy doing that to Cole. I think that anyone that likes funny, sad and romantic children's books then this would be a good fit for them. I think that this book is best for 4th-9th graders and I give it 5 out of 5 stars. Told from both daughter and father's perspectives, Far Cry From The Turquoise Room is a coming-of-age, riches-to-rags tale of loss, resilience, and self-discovery. At first Leila and her sister do not get along very well and while they are on a ship, they are helping their friends and Leila's sister falls overboard. Before this happened, they were not getting along because Leila felt as if their father liked her sister more. After her sister dies, Leila's parents mourn for her sister and they never listen to or talk to Leila. Her father tells her that she is going to go to board school. After he father tells her this, Leila finds out that her mother is pregnant. When she hears that her mother is pregnant, she thinks that it will be another girl and that her dad will like the baby better than her so she runs away. She meets April who becomes her best friend and she has so much fun with April and learns new things. When her family starts looking for her she leaves April and goes with Sunny who she met while she was hanging out with April. Leila goes with Sunny and his mother and meets more new people. Finally, her father finds her. I give this book 3 out of 5 stars and I think that it should be read by someone that is in 5th grade and older. Thirteen-year-old Celeste Harris is no string bean, but comfy sweatpants and a daily chocolate cookie suit her just fine. Her under-the-radar lifestyle could have continued too, if her aunt hadn't entered her in the HuskyPeach Modeling Challenge. 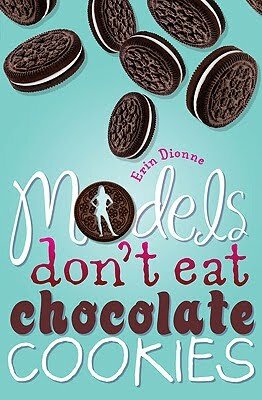 To get out of it, she's forced to launch Operation Skinny Celeste because, after all, a thin girl can't be a fat model! What Celeste never imagined was that losing weight would help her gain a backbone . . . or that all she needed to shine was a spotlight. A hilarious debut featuring friendship, family, mean girls and even celebrity crushes, Celeste's story is a delicious treat that doesn't add a pound. This story is about 12-year-old Celeste Harris who is in 7th grade. Her cousin is having a wedding and Celeste is in the wedding. At the beginning of the story, Celeste, her mother, her cousin, and her aunt are at the bridal store for a fitting. While they were at the store, Celeste's aunt found a flyer about a modeling contest and wants her cousin, Kirsten, to sign up for the modeling contest, but Kirsten does not want to do it. Her aunt asks Celeste, but Celeste does not want to do it either because she is chubby. Celeste does not want to become chubby queen of the modeling contest, even though her aunt and mother are disappointed, they say okay and drop it. While at school, Celeste finds out that Lively Cannon is trying to steal Celeste's best friend, Sandra. Soon Sandra starts to act like she is popular, which makes Celeste very sad. She goes to Sandra and asks her if they are still friends, but Sandra responds with "no, not at school, but outside of school we are okay." After school, Celeste's mom is waiting for her outside in the front yard with a big smile on her face and a piece of mail in her hand. The piece of mail was for Celeste, although Celeste was confused because she never received mail. She opened the mail and it was about the modeling contest, but she never even signed up for the contest. Celeste did not want to do it, not one single bit, but Celeste's mom was so happy she started to beg her to go to the modeling contest. Celeste agrees finally, but devises a plan to lose weight so she can lose the modeling contest. I thought this book is very good. My favorite part is when Celeste meets her "crush" who she admires very much. This book is one of my favorite books. I think that it is a good book for people who like to read dramas. I give it 5 out of 5 stars and I hope that whoever chooses to read this book likes it! 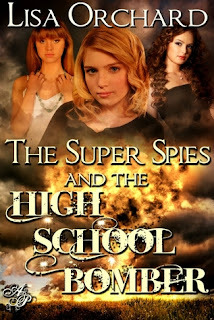 Twelve-year-old Cydni Hazard wants two things in life: to be able to use her empathic abilities to connect with her deceased mother, and to become a professional paranormal detective. In order to get what she wants, she feels she must learn as much as possible from her spiritually gifted Aunt Ettie, all the while keeping her supernatural talents hidden from her skeptical father. 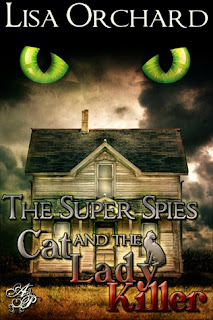 But no matter where Cydni goes, the spirit world hunts her down, and brings stray cats with mystical messages that she must decipher to keep her life on a somewhat normal keel. That’s not easy when her empathic nature leads her into unfamiliar territory and behavior. She never knows where she’ll be going, what she’ll be doing and who will be influencing her, guiding her to unravel the latest paranormal mystery. 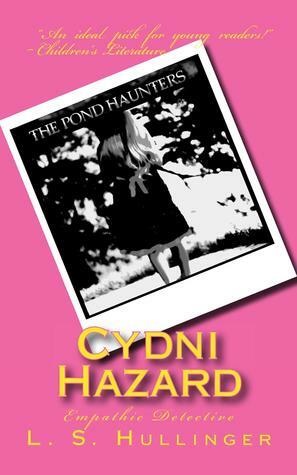 So when she spends a week at Aunt Ettie's new house and learns the small town of Blue Star claims to have a haunted pond, Cydni is spiritually led to discover the truth. 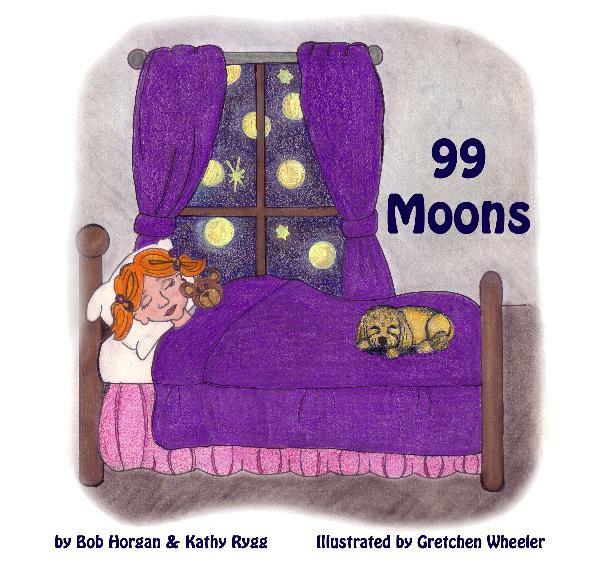 At the beginning of this book, Cyndi is traveling to her aunt's house. 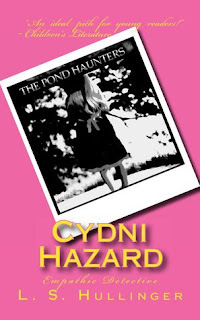 There is a haunted pond next to her aunt's house and Cyndi starts to get weird messages and clues further into the story. Cyndi eventually moves to Houston. I think that this book is appropriate for 3-6 grade. My favorite part of this book was the ending. I had a rough time getting into the story at first. I give this book 3 out of 5 stars. In the beginning, Sarah and Lacy live with their aunt and uncle. The girls have their first day of school. Their uncle, who is a school teacher, is at the school for a meeting when a bomb goes off. Throughout the story, Sarah, Lacy, and their two best friends, Scott and Jackie try to find the person who set off the bomb. I give this book 5 out 5 stars. I think that anyone who likes action, mystery, and drama will enjoy this book so much that they will want to read it over and over again. This is a great read for 3-6 grade. This book is about how a 11 year old girl named Alexandra "Alibi" Veron talks to children from the other side. Alibi is always getting clues from her dead grandpa Edgar and cousin Kyle. When Alibi gets clues she writes them down and then tries to figure out why children from the other side are here. Alibi is up in the middle of the night doing things for the children from the other side, such as making sub sandwiches. She is the daughter of a psychic medium who is fairly new at medium work. Grandpa Edgar gives Alibi a clue by having Alibi listen to a tape while her friend, Daisy, is present. The clue is from the reading her mother did for Laura Danvers, the lady who owns the bookstore that Alibi and her mother go to. Alibi and Daisy hatch out a plan that requires bravery. I enjoyed this book very much. I could picture what Alibi, Daisy, the scenes, and everyone else looked like in my head. This book would be a great read for anyone that likes ghost stories and mysteries in grades 3-6. My favorite part was when Alibi was painting and she became bored so she painted a different way than her mother wanted her to. While Alibi is painting, she gets paint in her hair so she has to go to the bathroom and take a shower. When Alibi gets out of the shower, she finds her mother is in the room where Alibi was painting. Her mother was just standing looking at the wall, so Alibi goes to see what her mother is looking at. Her mother was looking at a painted wall portrayed to look like an ocean, but the wall was not supposed to be painted as an ocean. This was my favorite part because I could imagine the ocean wall. I think that anyone who reads this book will like it. I give this book 5 out of 5 stars. At the beginning of this book, Alibi's mom is reading kind of sad stories. Alibi's grandpa Edgar and her cousin Kyle, who both died in a car accident, are giving Alibi clues. Alibi writes all of her clues down in a notebook. Kyle is a big trickster and has a crow that helps Alibi get clues. In the middle of this book, Alibi's friend, Daisy, comes to stay for a little bit. Daisy is scared of the ghosts and gets Alibi in to big trouble. They go to a bookstore while Alibi's parents are at bingo and the bookstore has a treasure that they find out about at the end of the book. A boy is stealing the treasure and hiding it. Alibi and Daisy get into trouble again and Alibi gets grounded. I think people that like ghost stories should read this book and my favorite part was when Kyle sticks his fork in an orange. I think that kids in 1st-6th grades should read this book. I give this book 5 out of 5 stars. In the beginning Sarah and her sister, Lacy, are spending the summer with their uncle and aunt, but then they meet Jackie. After they meet Jackie, things do not go as they planned because the cat lady is murdered. We find out in the story that about thirty years before the cat lady's death, her son had been kidnapped. Sarah, Lacy, and Jackie become junior sleuths and solve the mystery of who murdered the cat lady. When they figure out who murdered the cat lady, they also find out that the killer has had the cat lady's son all those years. When the son finds out that the cat lady was his mother, he is heartbroken. I give this book 5 out of 5 stars, because it is a perfect book for children who love to read mysteries. I like the pictures in the book and the story. The story is about the moon and the stars when the girl goes to sleep of how much her parents love her. They love her bigger than 99 moons. The girl looks out the window at the moon and stars with her teddy bear. She smiles super good. I liked the story alot. I would give this book 5 out of 5 stars. This book was short, but very sweet. I read this to Angelina and she smiled the whole time while reading. I found it to be appropriate in format and pictures for a children's picture book. This is one of those books that should be read more at bedtime than during the day. Overall, I would give this book 2 out of 5 stars as far as children's books go. Wow is all I can say! We have had such a overwhelming, awesome response from authors of all genres asking us to review their works and we are so humbled, thankful, and excited. All of us are now in the process of reading so our first review should be coming VERY soon :). If you have asked us for a review and it is a time sensitive matter, please let me know. Also, since requests are coming in for all genres, we are committed to all authors that send us their works to read the first 40 pages guaranteed. If we cannot "get into" the book at that time, we will have to move on to something else and give a review on what we read. I hope at no point in time this offends anyone, but as everyone knows, it is hard to read a book if you cannot be fully engaged in the story line. Should anyone have any questions on such, please email us. I hope you all enjoy our blog and we are ALWAYS taking requests for reviews. We are in need of children's picture books requests as my youngest is feeling left out. Thank you all and stay tuned . . . I am new to the book review blogging world, so if you have any hints on how to get started (i.e. arrange my page all pretty like other book review blogs), I would really appreciate it!!! First off, let me introduce myself, my name is Charity Martinez and I just turned the dirty thirty last week. After turning 30, I realized that I needed to do something with my life besides be a mom, a wife, a college student, and all my other duties. I needed to do something I have always wanted to do and that is to review books! I have always liked to read from the time I was 5 years old. My parents tell me that I had a book in my hand everywhere I went and I read at a very high level. Now that I am a mother, I have tried to instill that in my 4 daughters and, as luck would have it, they all LOVE to read as well. Just like mommy, they always have a book with them :). They want to participate in reviewing books, so I am hoping we get a lot of requests for children's books, middle grade books, and YA. Now on to the blog, I plan on reviewing anything that is thrown my way, okay well not thrown, but y'all know what I mean! My favorite genres are YA, chick lit, contemporary, and anything else that interests me by the blurb on the back of the book. I am a college student taking 15 credit hours so I ask that authors give me between 4-6 weeks to get the review up. As for the reviews my children will be doing, they can literally finish a 300-400 page book in 2 days so their reviews will be going up much faster! To request that I (or we) review your books, please email us at 5girlsbookreviews@gmail.com. Please be aware that paperbacks are best for us so that we can have them at all times, but we will review books that are PDF, Kindle version and/or Nook version. I look forward to getting my blog up and running and getting some customers. Thank you and I hope to hear from many authors soon and start getting some fans on my blog! !